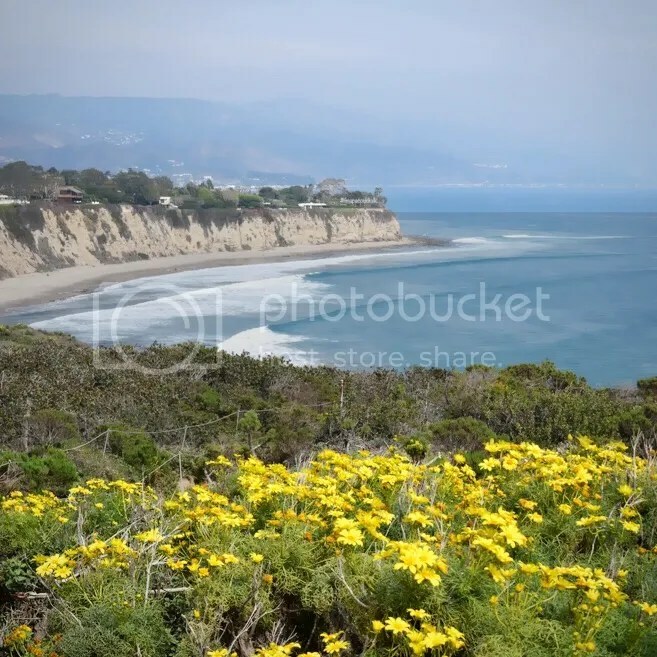 Self-proclaimed “27 miles of scenic” beauty, the city of Malibu is famous for its warm, sandy beaches, and for being home of many Hollywood movie stars. Malibu also includes some of the hikes mentioned in other blogs as well. Please see blogs posted about the Jim Morrison Cave and Escondido Falls Hike. (Linked). El Matador State Beach. After seeing beaches like Santa Monica and other beaches around Los Angeles, California almost every year of my life; I was really bummed that we didn’t have beaches that had serene beauty. Going to places like Bali and Cabo San Lucas with clear blue waters, I was really sad that our beaches weren’t as great. I mean, 3 of the most polluted beaches in California is located in Los Angeles County (Top 10). Then I broaden my horizons and visited places like this. Parking is about $8 in the parking lot. However, you can park along PCH; just look for the signs. Parking can get really packed during the weekends. After parking, walk towards the opening where there’s picnic tables and walk down the “hill.” It’s not very steep but still watch your step. I was fine wearing flip flops (I mean it is a beach after all). Going up is going to be killer if you’re out of shape! You could always pace yourself and stop every few steps just to take in the view and take lots of pictures. Once you get to the middle, there are stairs that you can walk down to the beach. 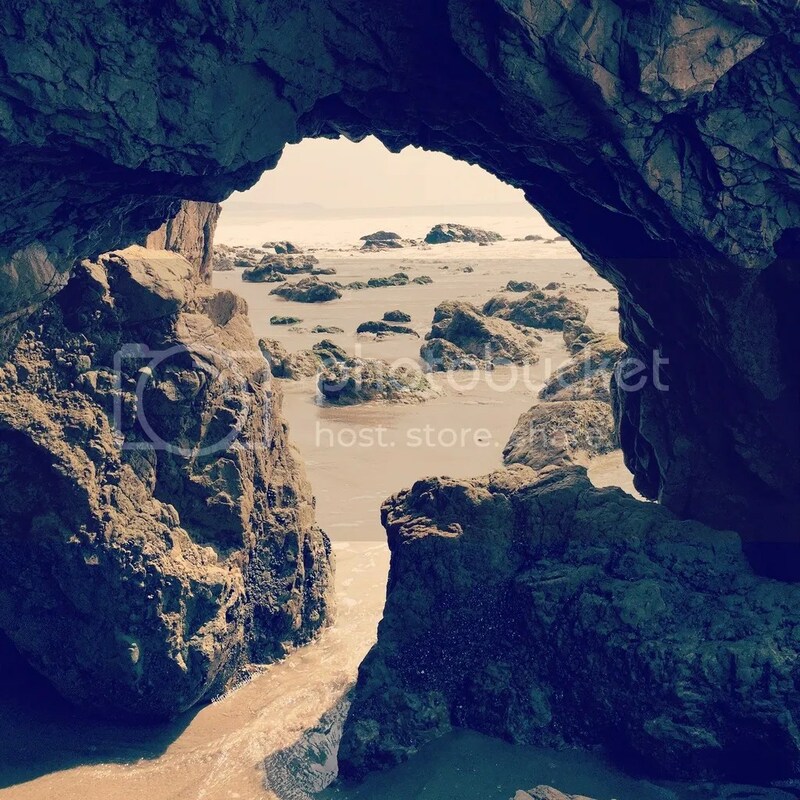 The beach is covered with rock formations, caves and cliffs. This beach is just so beautiful to take pictures at. I’m so glad that I can finally say we have beaches like this. Zuma Beach. The cleanest beach in California I have ever seen! When they say Malibu has the white, sandy beaches they weren’t kidding. I’m sure they were talking about Zuma Beach. 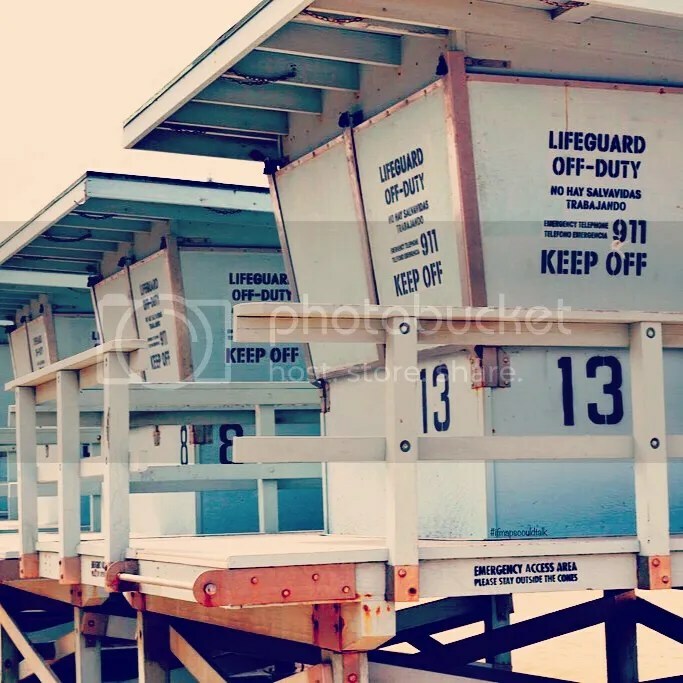 I only stopped by because of the Life Guard Stations. I thought that it would be a great shot and I thought it came out better than I imagine (if I say so myself). Parking is free at PCH. Point Dume Nature Preserve. I stumbled upon this preserve by accident. After going from Zuma Beach, instead of driving down PCH (south), I made a wrong turn. I figured what the heck, I’ll follow this road and it led me here. Which I’m glad it did! Parking was very challenging. People were lining up in this little stretch of road in front of the preserve. I ended up parking 0.5 miles away and ended up walking here. The preserve feature headlands, cliffs, rocky coves and vast beach access. You can either go down to the beach or go up to the hill to see the view. I opted to go up the hill. Going down to beach looked like it took a lot more effort (I mean I have to come back up some time). But I had great view of the scenery from up top and had great shots of the yellow flowers; whatever they are. Malibu Pier. Ended up coming over here because of the Malibu Farm Pier Cafe. It appears that some parts of the pier is under construction, but it didn’t stop people going to the Cafe at the end of the pier. There’s actually two “restaurants” at the pier; Malibu farm the sit down restaurant and the cafe. I opted to the one at the end of the pier, I mean why would I pass up an opportunity to eat by the ocean. The time I went, I was observing Lent. If you’re not aware, some Catholics give up eating meat every Friday the 40 days before Easter. It’s really easy in some places just because I rarely have any choice in the matter but go pescatarian or vegetarian. I ended up getting Vegan Chopped Salad. Can I say that it was the most expensive salad I’ve ever eaten? $14 salad and drink cost me about $20. But I guess it’s “OK” since I’m technically paying for the ambiance? I ate on the outside. I think it’s also OK if there are LOTS of people eating on the roof, but if only a few, better watch out for the pigeons trying to take a bite out of your meal. The view was great, the experience was a bit terrifying, the food was OK, would I go back? probably not lol. Parking was a challenge as well, since you can park free on PCH (watch out for the signs though!) However, there’s a lot next to the beach for $6. 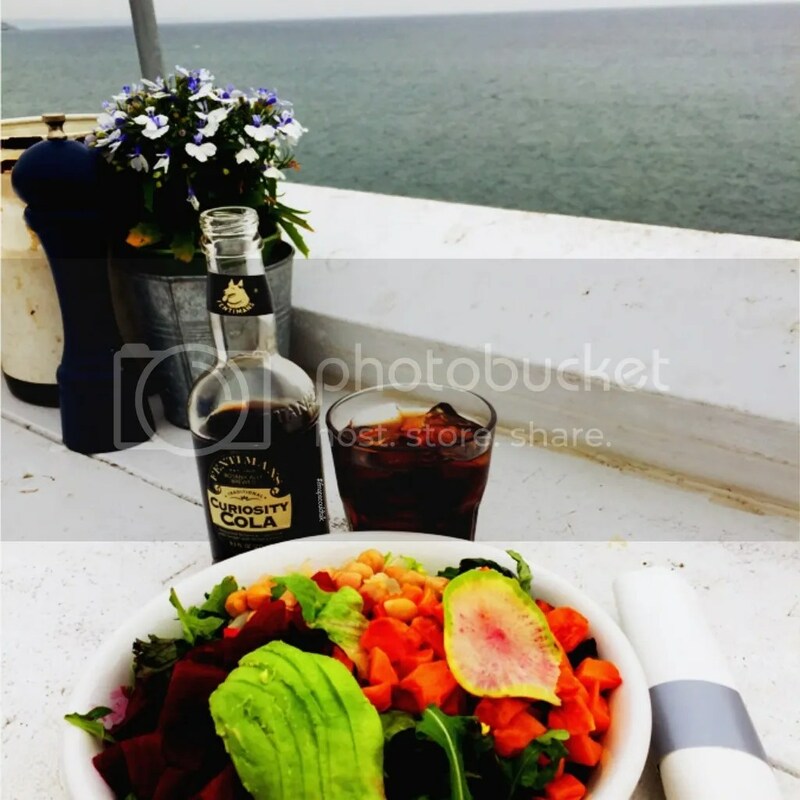 This entry was posted in Beaches, See and Do and tagged El Matador Beach, Los Angeles, Malibu, Point Dume Natural Preserve, Zumba Beach. Bookmark the permalink.